A new compact member has arrived into the family and Mercedes-Benz is showing off. 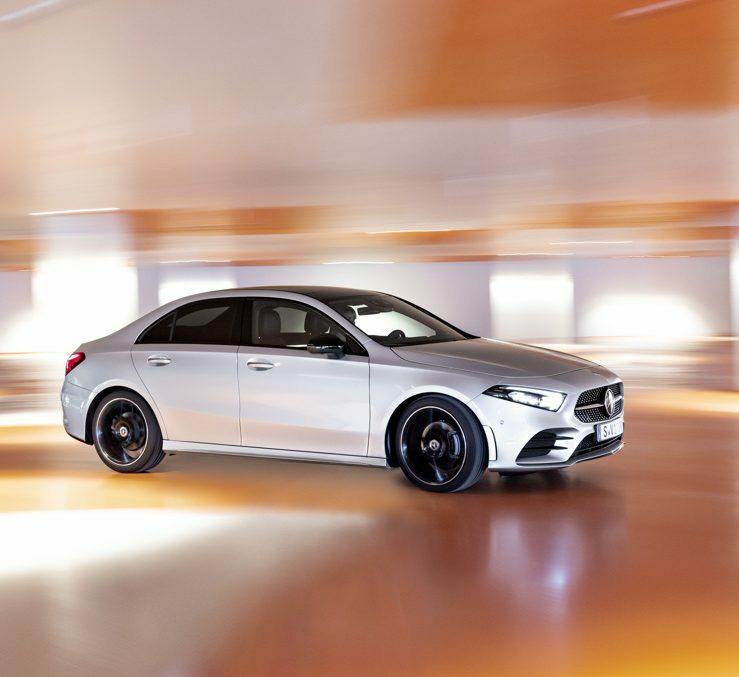 The premium car maker has released the first video of the A-Class Sedan. Thus the Mercedes-Benz A-Class Sedan shows up in a deserted car park, in the city of Stuttgart, driven by a young lady that is happy to see that her big-sized suitcase perfectly fits in the sedan’s boot. Keeping the segment’s virtues, the new sedan, with its dynamic proportions, brings extra practicality. Efficient engines, high level safety assistance systems, borrowed from the high-end S-Class, are the trump cards that Merceds is throwing in the game of the luxury compact sedans. The video is a parallel between life onboard the super-technologized A-Class, equipped with the MBUX (Mercedes-Benz User Experience) system and the city nightlife. The young driver also plays the part of a DJ, as the company’s attempt to convince young customers that this is just the car for them. The 55-second video is accompanied by the motto of the compact class: “Just like you”. The Mercedes-Benz A-Class Sedan will make its public debut at the Paris Motor Show next October. The sedan will roll off the assembly lines of the company’s production centers in Aguacalientes, Mexico, and Rastatt, Germany.